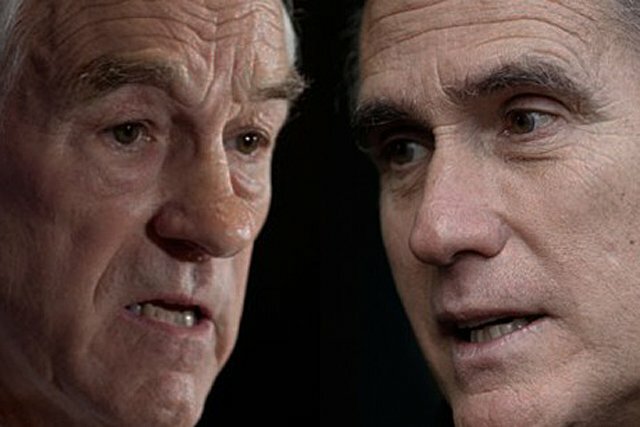 As Ron Paul continues to rack up delegates leading up to the national convention in Tampa, several mainstream media outlets have finally begun to pay attention, but most articles and news casts stress that Congressman Paul still has no chance at winning the nomination. If Ron Paul doesn't have a shot, then why is the Romney campaign and the establishment GOP freaking out? Last week, GOP Chairman Michael McDonald threatened Nevada that if Ron Paul delegates take over national convention slots, they won't be invited to Tampa. If these mafia tactics weren't enough, the Romney campaign resorted to the lowest form of dirty tricks at the Nevada convention. The video below shows a provocateur, presumably working for the Romney campaign but wearing a Ron Paul shirt, being caught red handed distributing fake ballots to Ron Paul supporters. Despite these despicable efforts by a seemingly desperate Romney campaign, Paul supporters delivered a dominant 22 Nevada delegates to Ron Paul, leaving Romney with only 3. Nevada is now the 6th state where organized Ron Paul supporters won most of the delegates. A majority of delegates from Iowa, Louisiana, Massachusetts, Minnesota, and Maine are now firmly in Paul's corner with many other caucus states expected to follow suit.